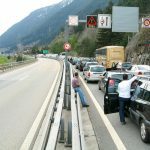 The Swiss government has calculated that traffic congestion costs the country CHF 1.6 billion annually. The report, published on 23 June 2016, shows that traffic congestion costs the country CHF 1.6 billion annually (2010) in lost time, wasted fuel, environmental damage and accidents. And these costs continue to rise. The cost of time lost in traffic, 70% of the total, rose from CHF 1.1 billion in 2010 to CHF 1.25 billion in 2014. In 2010, CHF 330 million was associated with accidents, CHF 105 million with fuel, and CHF 30 million with environmental damage. Of the total, CHF 380 million was related to heavy vehicle traffic, such as trucks. 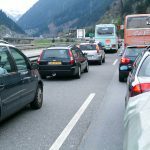 In 2014, heavy traffic was responsible for CHF 420 million of the cost, a number that will be used to calculate fees charged to truck companies that use Swiss roads. 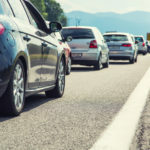 A 2015 ranking by Inrix, earlier this year, showed that there were only four countries in Europe where traffic congestion sucked up more time than the 30 hours it consumed in Switzerland. 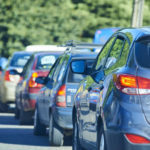 First on the list was Belgium where the average annual traffic wait was 44 hours. Belgium was followed by The Netherlands (39 hours), Germany (38), and Luxembourg (33). Swiss cities fared relatively better however. Europe’s congestion capital, by a comfortable margin, was London (101 hours p.a. ), followed by Stuttgart (73). Antwerp (71), and Cologne (71). London’s roads were even more clogged up than New York’s (73) and San Francisco’s (75). No Swiss city made it into Europe’s worst 15, and Swiss trains continued to run on time.